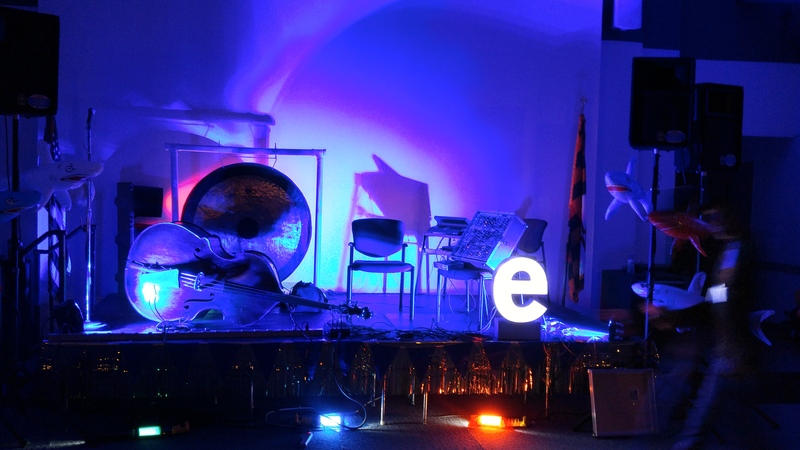 We have a date set for the next Electronic Music event at the National Electronics Museum in Baltimore. It will be on Saturday, November 3, 2018. Dan and Dave will be there, and possibly Ken although this is not looking very likely at this point. 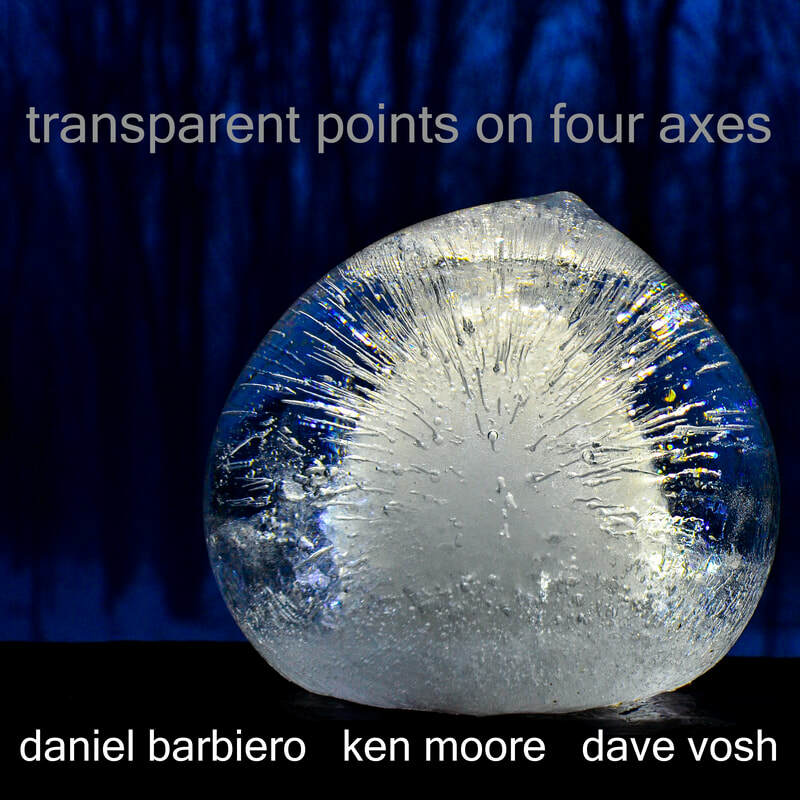 The new release from Daniel Barbiero, Dave Vosh and Ken Moore is now available from Pan y Rosas Discos online. These are the tracks on the release. Originally we were going to have a short run CD made, but decided not to do that. Digital release only. Free downloads. Electronic Mutations is now available on the Moore/Myer Bandcamp site. The tracks are all performed on the Moog SubPhatty analog synthesizer by K. Moore. Not a lot happening over the winter to report, but here is an update on events coming up later this year. 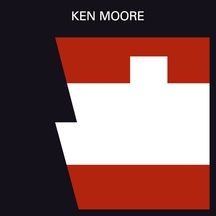 Ken Moore is planning another release for his moore/myers.bandcamp site, and this will most likely be the next thing to materialize. It will probably be called "Electronic Mutations" with recordings done exclusively on the Moog SubPhatty, which has been used at the NEM event of late. Daniel Barbiero, Ken Moore and Dave Vosh have formed a trio called Pentatope, and will have a new album to be going live on September 1, 2018. 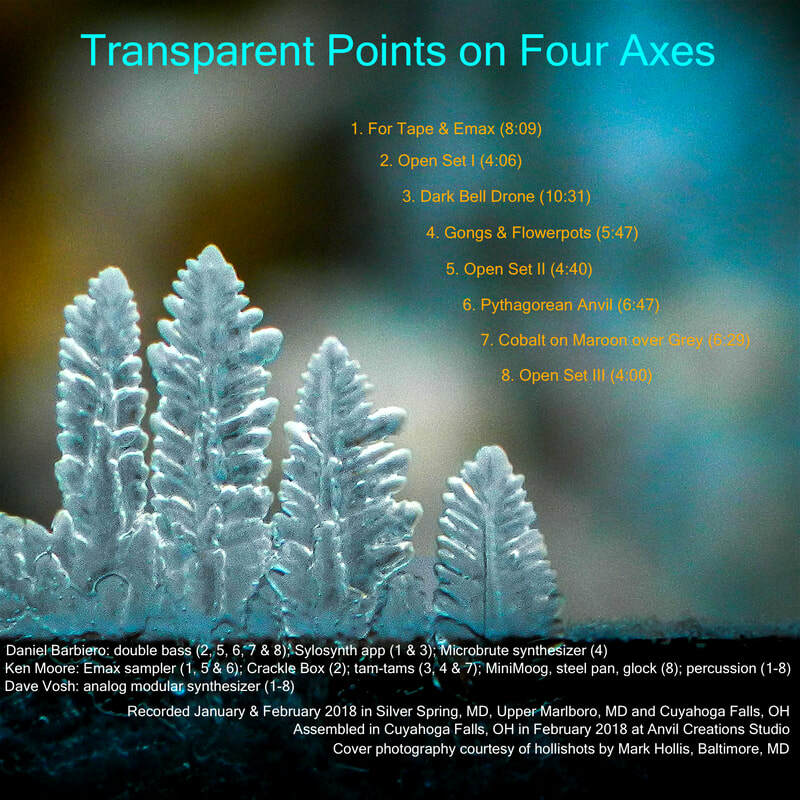 They are calling this "Transparent Points on Four Axes", and it is another digital album with pan y rosas, which released Dan and Ken's "Frequency Drift" and more recently, "Lunge". 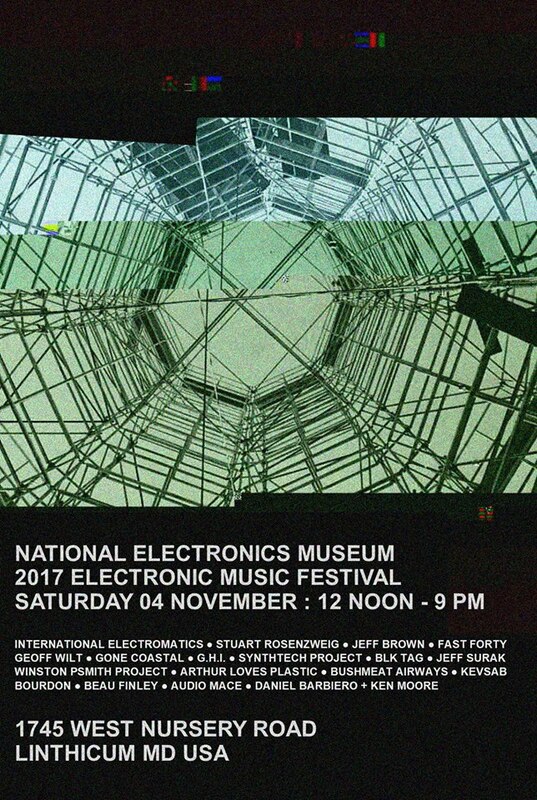 Finally, we have a date set for the next Electronic Music event at the National Electronics Museum in Baltimore. It will be on Saturday, November 3, 2018. Dan and Dave will be there, and possibly Ken although this is tentative. 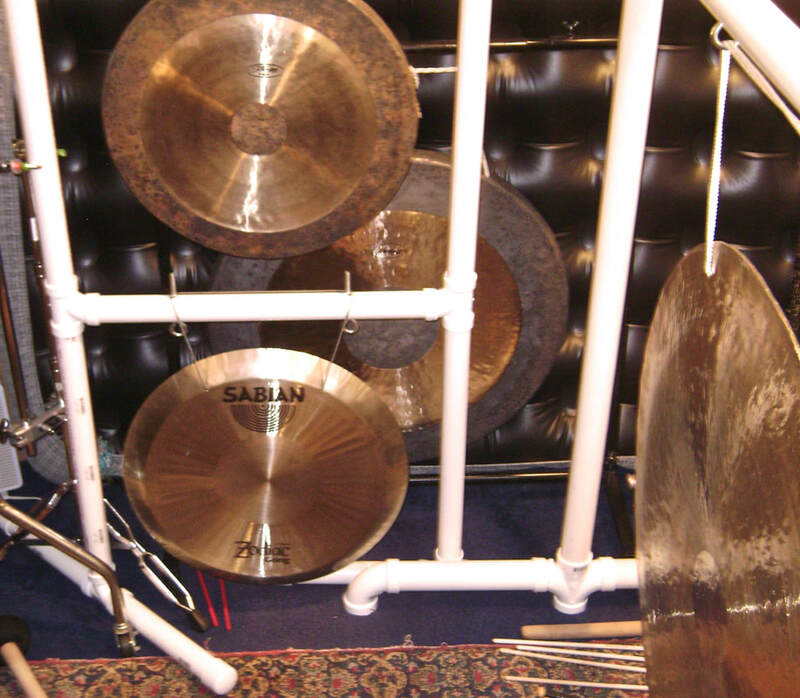 A successful improvisation based on the whole tone scale in C at the National Electronics Museum in Linthicum [Baltimore] Maryland. This photo was taken by Joe Wall. 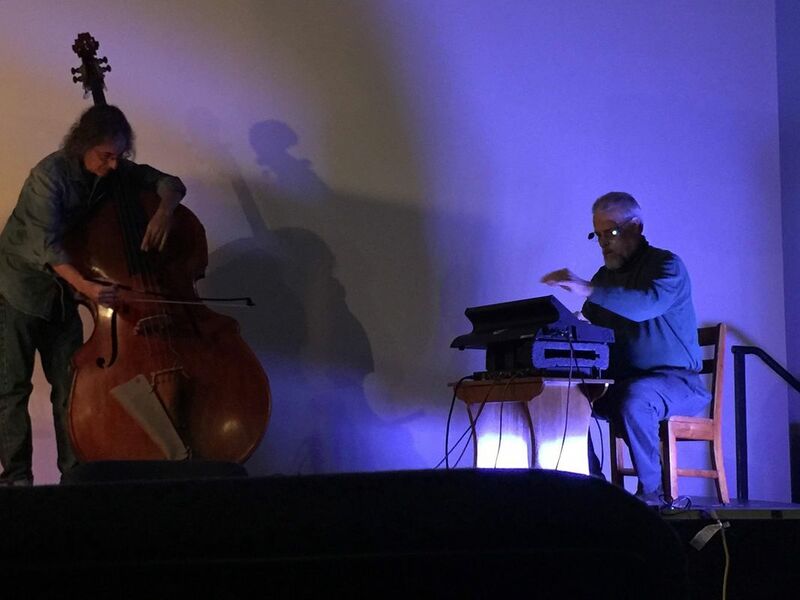 Daniel Barbiero (left) on double bass; Ken Moore (right) on analog synthesizer. These two pictures of Daniel Barbiero and Ken Moore were taken at the live performance at the NEM on Saturday 11/4/17 by Beth Taylor Photography. For the East Coast, this special event taking place outside Baltimore, Maryland the first Saturday of next month: NOVEMBER 4, 2017. This is the special packaging cover for the audio CD that is being mailed to several radio stations on the east side [and one on the west coast] for airplay. 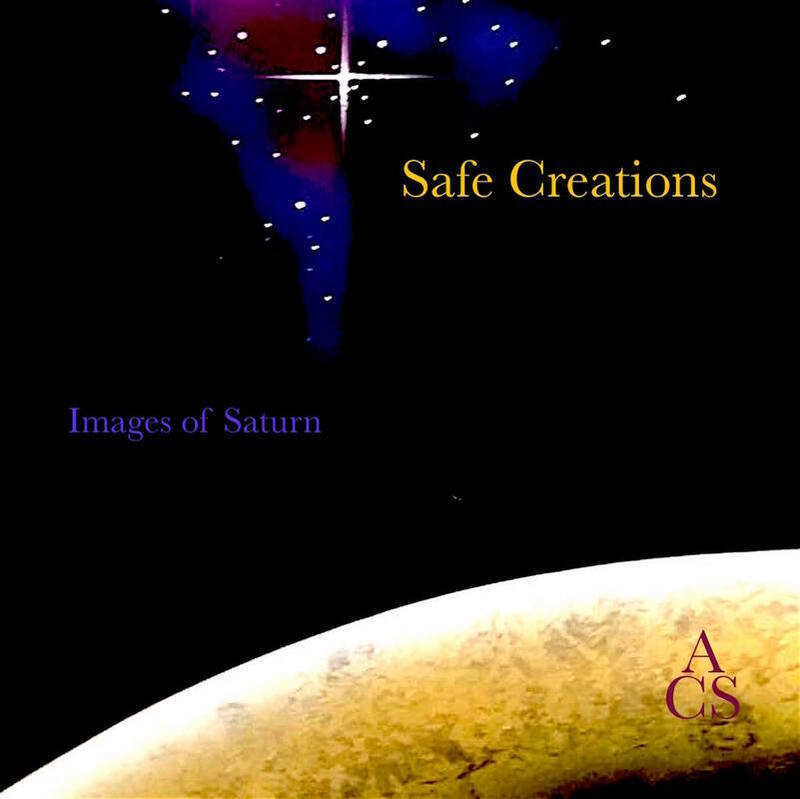 In keeping with the current trend, below is the cassette over that will be used for the new Safe Creations release, "Images of Saturn", on the ACS label. 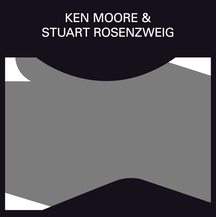 The newest release from Ken Moore on Bandcamp is a collection of original computer music called Digital Disturbances available this September 2017. Several pictures from the August Noise Lunch in Cleveland from 2017. Sean Liam Holt on modular synth with Ken Moore on the big drums. While Ken and Daniel have collaborated via email to produce their first net release together, the newest album from this unlikely duo was recorded in Dan's own studio in Silver Spring, Maryland. 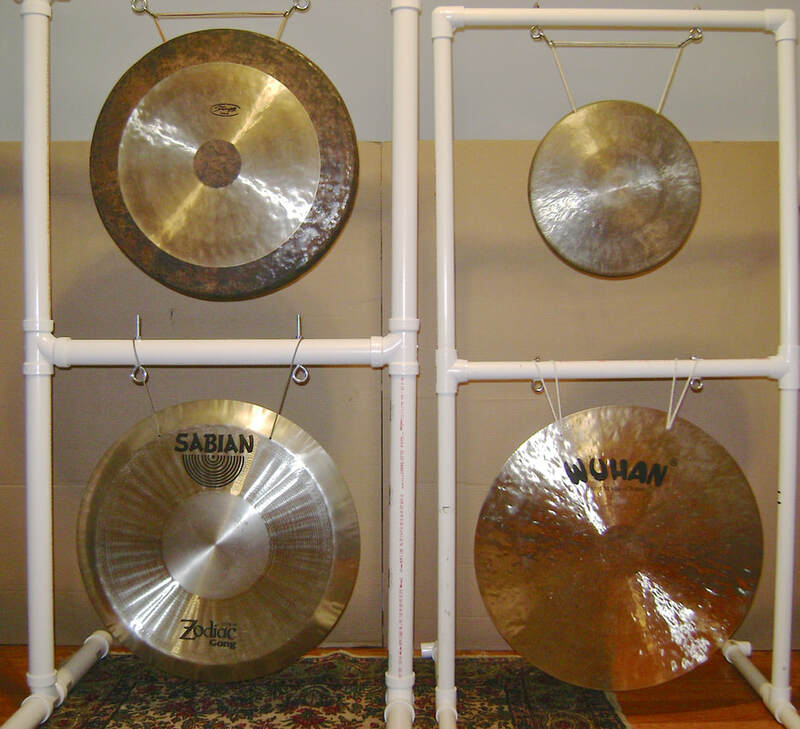 For LUNGE, Ken used absolutely no tam tams or gongs of any sort. Instead, he returned to his roots on several analog synthesizers, using a MiniBrute and a SubPhatty with Lexicon effects. 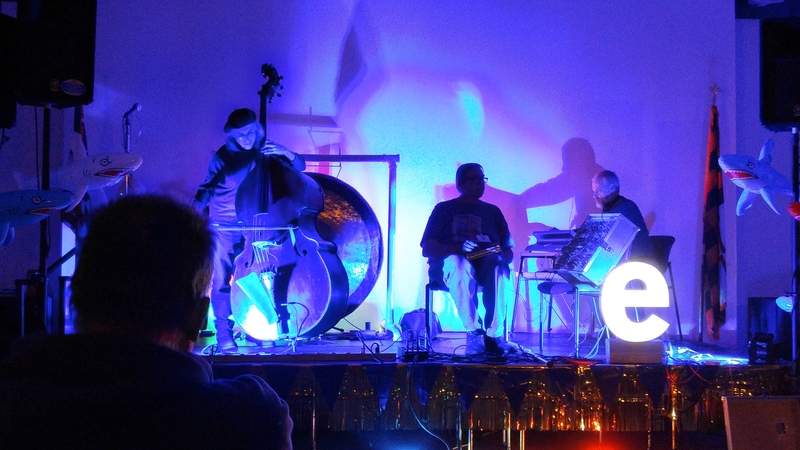 Dan's improvisation on the double bass continues in stride as the electronics provide minimal frequency patterns which he then picks up on and elaborates in an unique way only Barbiero can accomplish. Released on April 5, 2017, this new album already has had multiple listens and as many downloads from Pan y Rosas and on Free Music Archive. 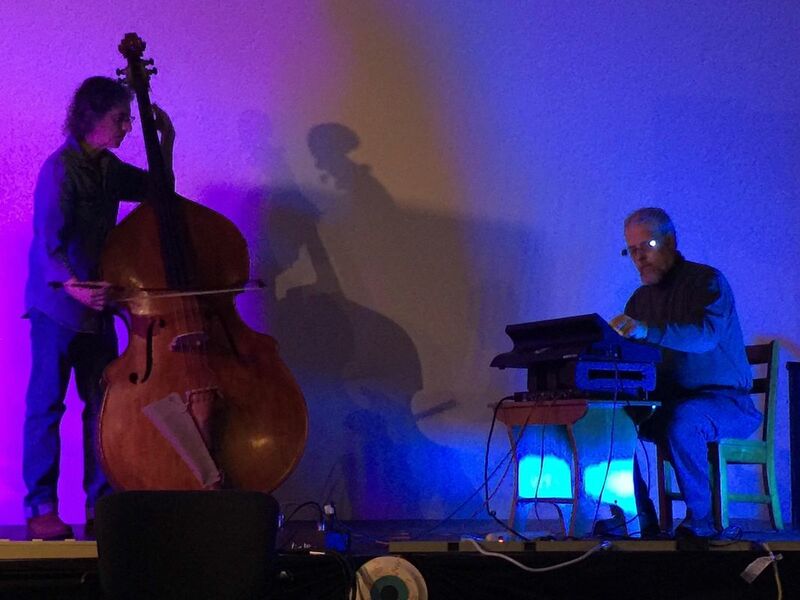 This photo of the two of them was taken at a concert they performed at the National Electronics Museum with Dave Vosh several years ago. Cover photographs were taken by Kenneth Moore. Sometime between ELIXIR and OUR OWN UNIVERSE, there was a recording session that was never released on cassette tape by Anvil Creations Studio. This music was transferred to compact disc in 1998. With the emergence of a name-your-own-price page on Bandcamp.com, it was decided that the collaboration between Ken Moore, Mike Prezioso and Mark Chance would make its first appearance after more than 40 years on the shelf. This obscure band is called Magnificat; not an original name, but at the time, it was an appropriate title. Mike did an outstanding job on the drums, and Mark had done some of his best bass playing during these sessions. 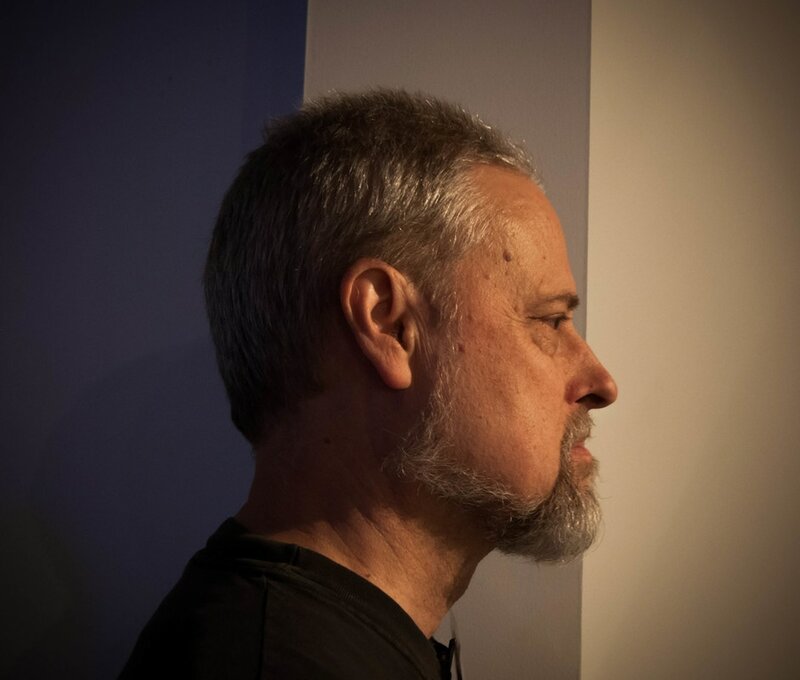 Most interesting is Ken's use of the Moog minimoog synthesizer, which together with the organ and piano, he led the group on undiscovered territory. 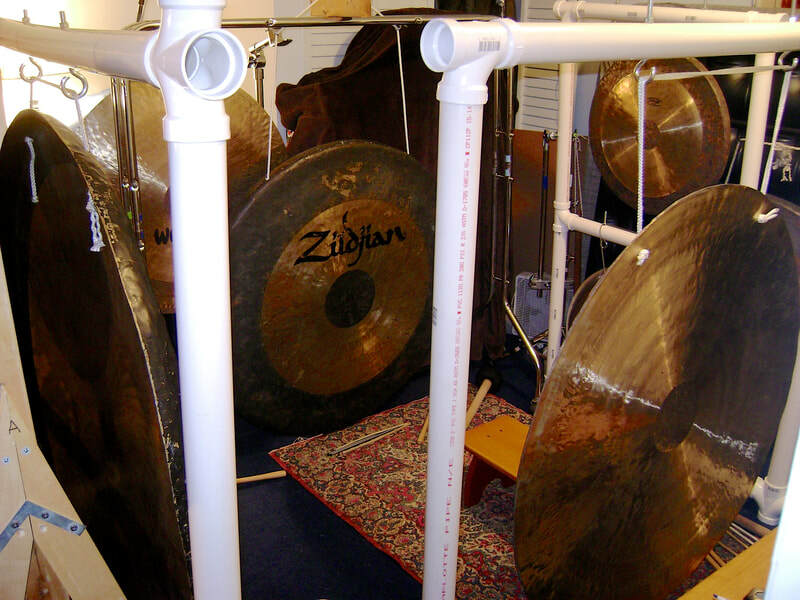 Marred by some noise made in the sound room during the recording, it was not included in the original Anvil Creations' catalogs. Now, you can experience the excitement and adventure unheard, until now, by three young and ambitious musicians in 1975. There are four bonus tracks, not expected to be included on the album (if it were to be released in 1982) that will be included in the full album download. Free streaming is also available at https://anvilcreations.bandcamp.com. New on mooremyers.bandcamp.com is Anvil Creations: A Musical History Vol. 3. This is a collection of music from the period 2000 thru 2009. Download this sampler covering Elastic Collision [with Frank Ashley, Jr.] thru Safe Creations [with Dave Vosh] for the modest price of $5.00. 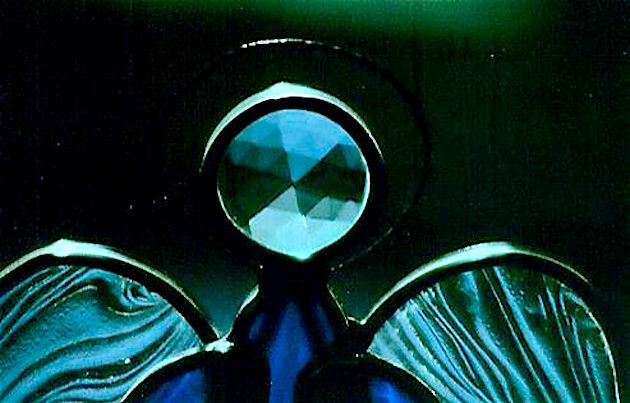 Three new classic cassettes have been uploaded to Anvil Creations' Bandcamp page: the I.E.M.A. Collective Tapes #4, #5 and #6. These tapes are available for streaming and free downloading. All tracks were donated by the artists in 1982, and are presented here for promotional purposes [for those who are still living]. 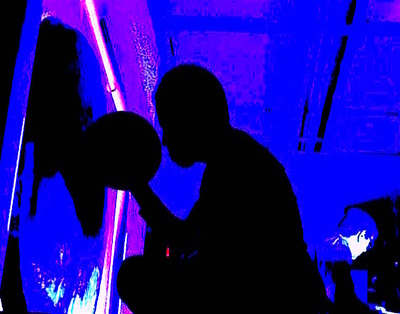 Group Tape 4 is dedicated to the memory of Michael Roden and to Jack Schrage. 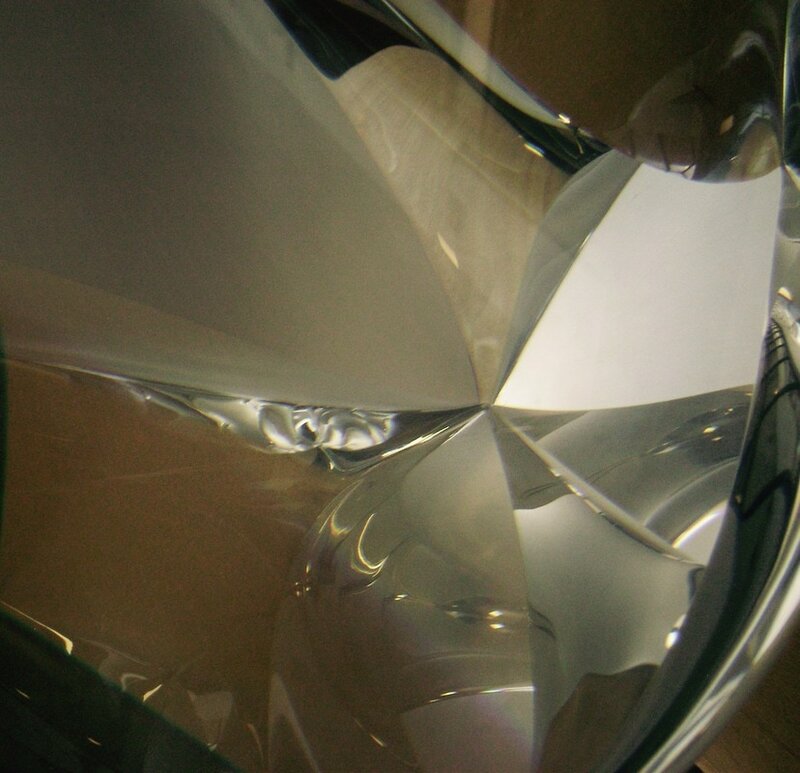 Group Tape 5 remembers Mike Roden and Lauri Paisley, both of whom are no longer with us. ENJOY these classics. The stage is set for the last act. Photo courtesy of Jeff Brown. Once a year Dave Vosh curates an eventful day in cooperation with the museum's director, Mike Simons. This year has many of the Electronica-Fest regulars, plus an addition of a few newcomers. Friends, Emory Stagmar, Allen Myers and Ed Edwards , make an appearance as Ezekiel's Wheel. 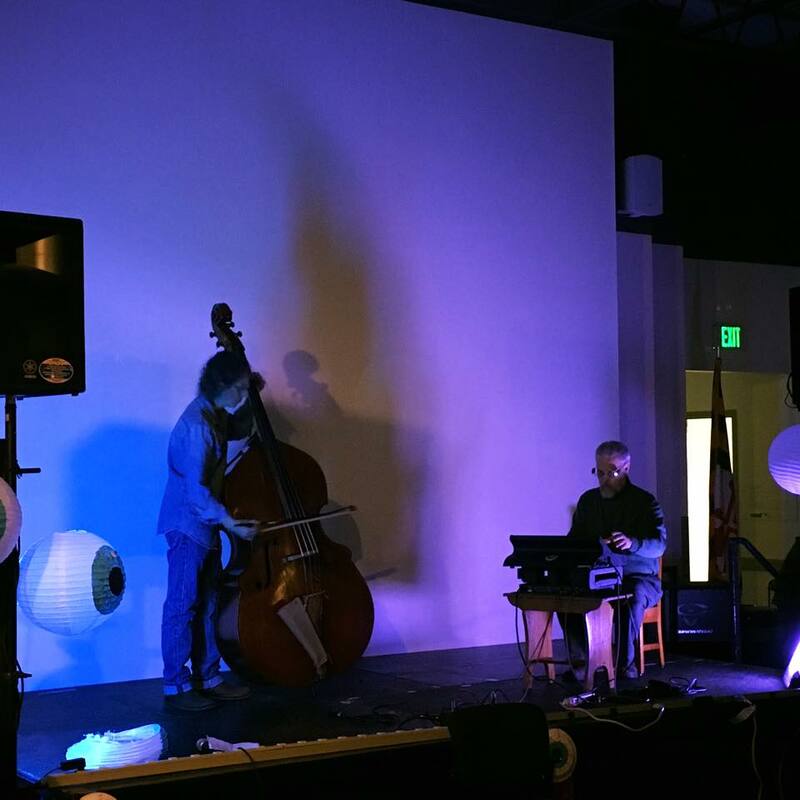 Ken and Dave will also be there as Safe Creations, and Daniel Barbiero and Dave Vosh will conclude the evening with a special guest on another analog synthesizer. The fifth installment of Ken's "Heavy Metal" series has now been uploaded for a special free promotional offer. Contributions are always welcome, and the first four Phaze albums are also available at moore/myers.bandcamp.com ! 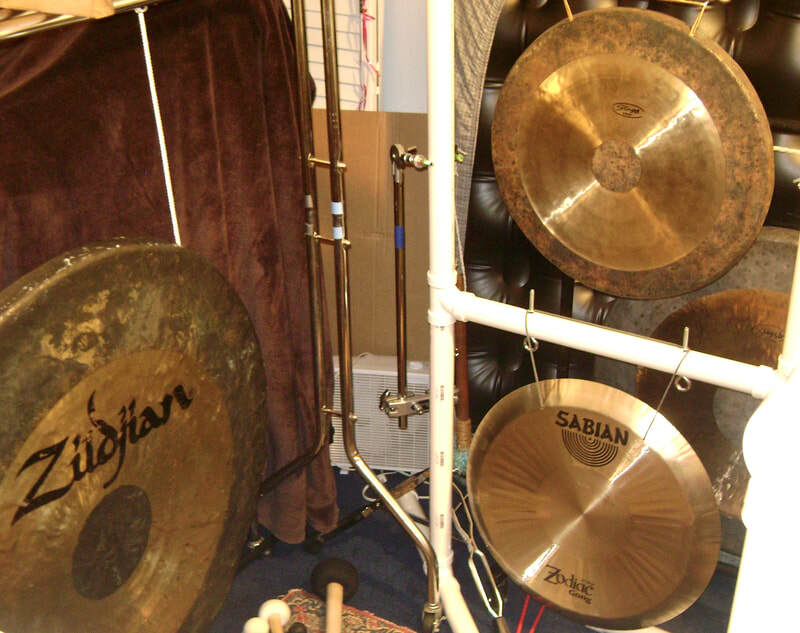 This set of live recordings, made during July of 2012, can only be downloaded as a whole, and it will include a 9th bonus track (not seen) which is an altered, experimental project using only a Sabian flat top drilled for use as a tam-tam, and mastered by Ken Moore in September of 2016. 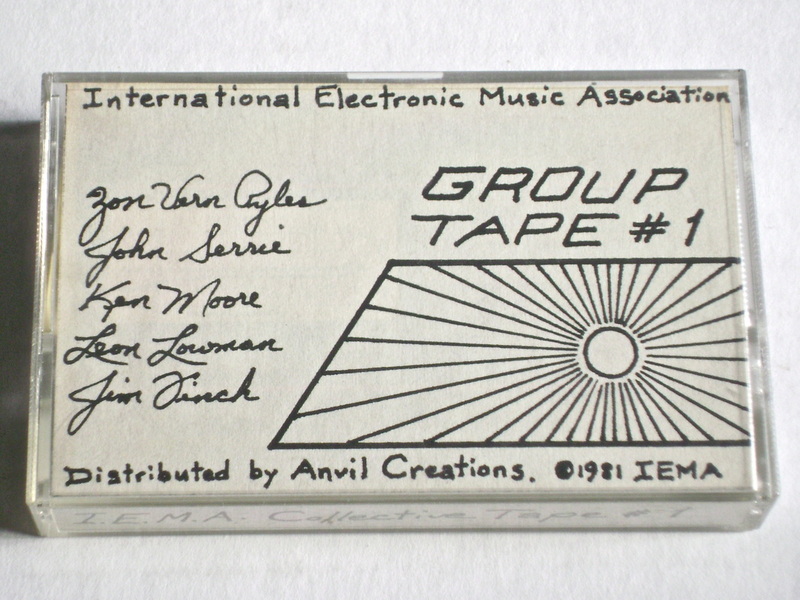 Another in the series of free downloads recently added is Group Tape #3 from the International Electronic Music Association. This time, original music from John Wiggins, Roger Luther, the late William Ashley Cooper, Chuck Larrieu, Peter Kaminski, Emerald Web (with the late Bob Stohl and Kat Epple), (Stuart) Rosenzweig & Moore (Ken), and the Nightcrawlers (Peter Gulch, the late Tom Gulch, and Dave Lunt). Enjoy at name-your-price. ​The year was 1981, and Ken had been introduced to a young pianist, Susan Dobrowolsky, who studied at Peabody in Baltimore. Planning another concert, this time at a community college, he asked Susan if she would share the stage with him. She agreed, and the late Dave Dillman drew up another poster for them, which was nailed up all around town. These are some recordings Ken had made of her playing some of her original piano compositions. Share the experience at anvilcreations.bandcamp.com. ​The new studio album by Safe Creations will be Anvil Creations' 62nd release since it's inception in 1980. Similar in content to their last "Modular Landscapes" album, this collection of abstract compositions takes modular synthesizers and tam-tam experimentation to the next level. With the release of "A Minor Eruption" on Zeromoon, Anvil Creations has provided a companion release with synth-only tracks, some of which were used for the assemblage of their 4th studio album. Out of the ten tracks here, six of them, recorded by Dave but mixed by Ken, have never been heard until now. Download for free at www.anvilcreations.bandcamp.com July, 2016. The very first tape distributed by Anvil Creations representing the members of the International Electronic Music Association has been posted online by Hal McGee, and can be found here: www.haltapes.com, with a link to cassetteartclassics.bandcamp.com and requires a minimum $2 contribution for download. ​With the addition of www.anvilcreations.bandcamp.com, you are now able to stream and download for free, the next in the series of I.E.M.A. Group Tapes: Collective Tape #2. 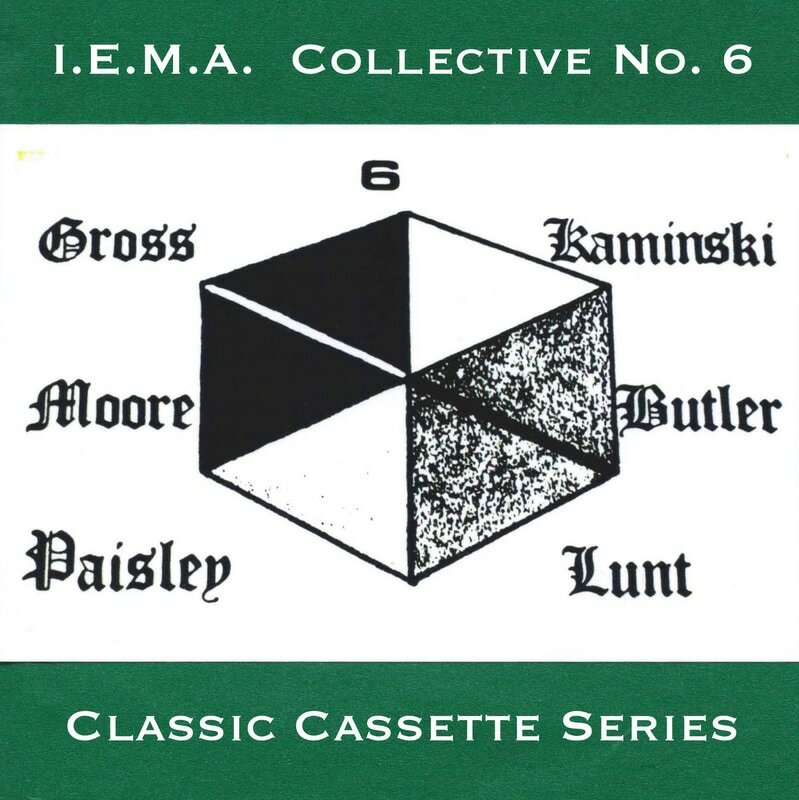 This anthology of independent music was collected and arranged by Ken Moore in 1981, and was well received as a cassette distribution tape via mail order. Each tape was individually dubbed in real time, and started out with hand-drawn covers by Ken himself. Later copies were Xeroxed, but all were on high quality Maxell tape. This digital copy was taken from one of those such tapes. With the development of a new Anvil Creations Bandcamp page, Ken and Dave have made available to the public their first recording for the same price it was originally distributed: for FREE. This was a sample recording made in the Gong Room just before their first performance in 2012. After 4 studio releases, this "live recording" still stands up as an unique and creative adventure. Anvil Creations Studio is proud to have released another in the series of retro-cassette albums called "The Chess Kingdom". 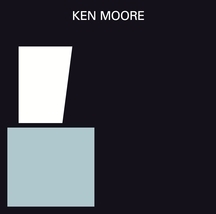 Recorded at the time Ken was involved with the progressive rock band, Kameleon, and released originally just after "Prism Eye Glass" and before the Moore/Myers' album "Reaching Beyond the Sphere", this collection, of primarily keyboard compositions, features a piano version of the title track, and a drum accompanying version of "Xanthic". Some of these tracks were previously available on the Anvil Creations: A Musical History, Volume One sampler on Bandcamp.com, but many are new to the digital domain. 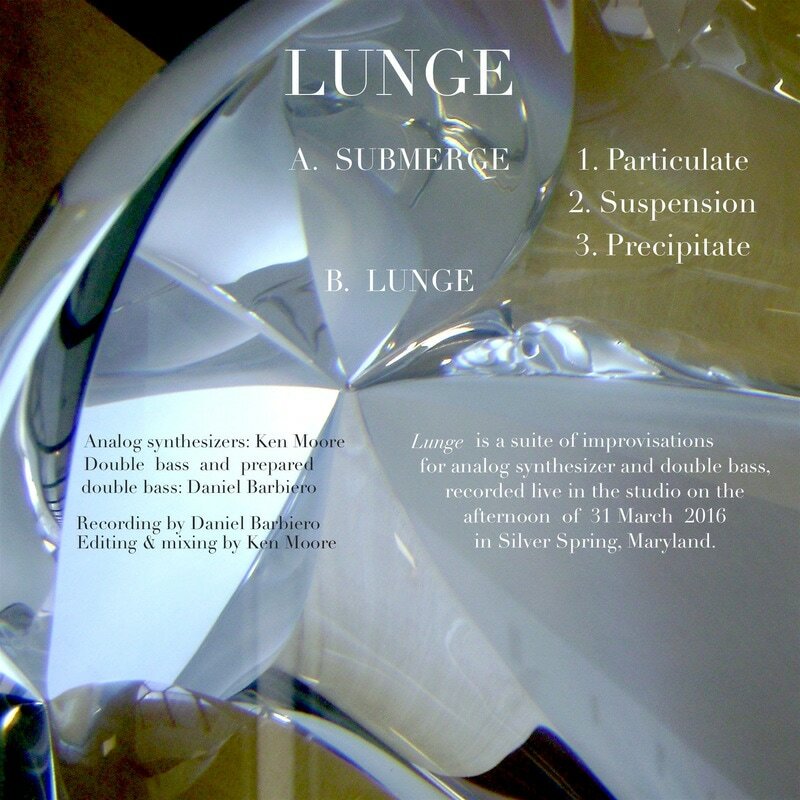 Care was taken to properly represent the tracks, originally recorded on a Teac 2340 four channel simul-sync tape recorder, and there are some fluctuations in sound quality here, but the intent was to showcase the compositional work Ken created in the 1970s-1980s, and preserve the pieces for others to enjoy. Hopefully, some of Ken's influences can be seen here, such as the indicated nods toward Italy's Sensations Fix and the USA band, Happy the Man. The latest collaboration between Daniel Barbiero and Ken Moore is now available for download or listens. The official release date for "Frequency Drift" was March 29th, and is available from Pan y Rosas with an additional site at Free Music Archives (see copy and paste links below). As of April 8th, the downloads were at 914, with 5198 listens! These are extremely good statistics, and it is Ken's first available release [with Dan and] as a free download. Check it out. Vinyl-On-Demand, directed by Frank Maier, recently released the American Cassette Culture box set, VOD139, with 12 records and a 48 page LP-sized booklet. This set includes an Anvil Creations box set with five records, one double LP and three singles, and a bonus 7" record with additional works by Ken Moore. Back in the 1970s, early 80s corporate control of the music industry was established. In opposition to that, there also arose a DIY phenomena called cassette albums which allowed artists to record and duplicate their music easily themselves. In the USA Eurock was one of the first labels as well as distributors of DIN label cassettes by US artists as well as International label releases. Germany’s Vinyl On Demand label has just released the definitive set documenting the early American EM pioneers original cassette albums. 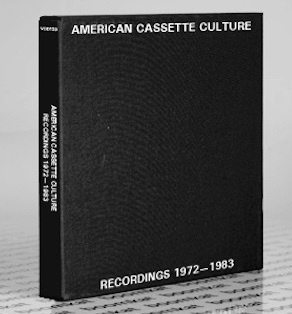 American Cassette Culture 1971-1983 is comprised of 17 different Lps by US electronic musicians - Don Slepian, Steve Roach, Marc Barecca, Anode, K Leimer, Young Scientist, Ken Moore and Galen. In keeping with the VOD labels exacting high-quality standards, the albums are presented in deluxe box sets. They come in various configurations including an extensive 48-page 12”X12” booklet extensively annotated with an historical essay by yours truly, in-depth artist Bios as well as historical document images. The albums of each the various artists are also available as individual LP releases. 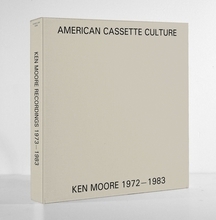 An unparalleled showcase of American Cassette Culture: Recordings 1971 - 1983 presenting tape releases by K. Leimer, Don Slepian, Steve Roach, Marc Barreca, Anode (Productions), Young Scientist, Ken Moore, and Galen, available on vinyl for the first time. As Vinyl-on-Demand have almost exhausted the reserves of '80s European tape music, Frank Maier's label turns its attentions to America during the same era in order to highlight the similarities and difference between the two scenes and their double refraction of influence upon each other. It pays particular focus to Archie Patterson's Eurock Magazine & Distribution, who distributed and/or issued many of the works contained in this box. Besides running Eurock, Patterson also hosted an influential radio show playing European rock music in the early '70s, from where he famously hooked Michael Mann up with Tangerine Dream's OST for Thief. There's a remarkable breadth and quality to the music inside, fathoming the spiraling synthlines and 4th world proto-electro of Steve Roach's Now (1982), beside an enchanted set of early, ambient Kerry Leimer albums circa 1978-1979; the space rock of Young Scientists; abstract drone excursions from Anode Productions; personalized ambient head music from Marc Barreca. A special presentation at the National Electronics Museum in Nov. 2015 uniting Akousma [Dave Vosh/Daniel Barbiero] with Safe Creations [Dave & Ken]. Released on March 29, 2016 on Pan Y Rosas! 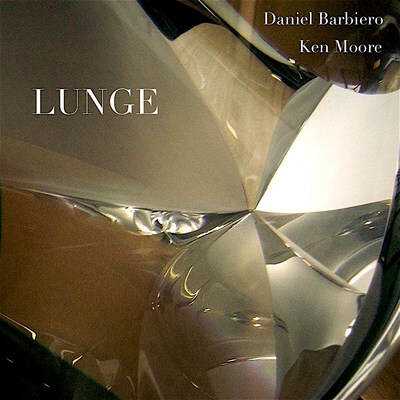 An internet release of new music by Ken Moore & Daniel Barbiero, entitled "Frequency Drift". 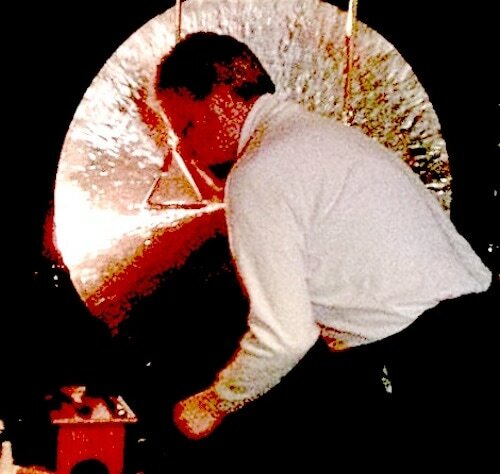 Ken with his first Zildjian gong [tam tam]and stand in Cuyahoga Falls, Ohio. Celebrating 40 years of recording sound as Music. 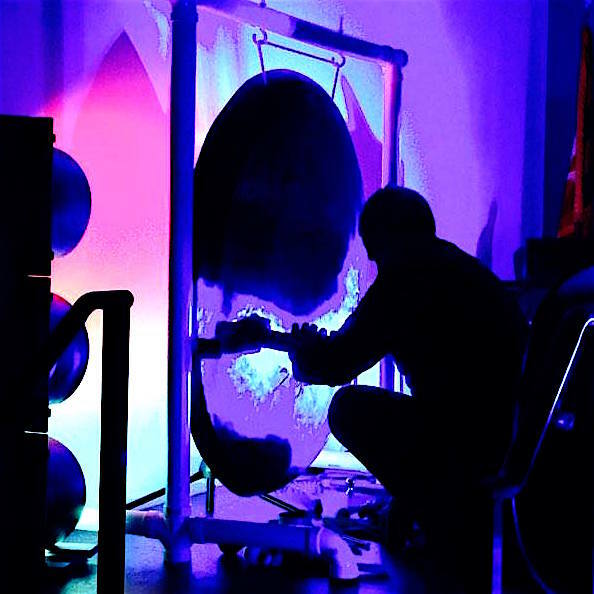 Electro-acoustic music from Anvil Creations Studio. 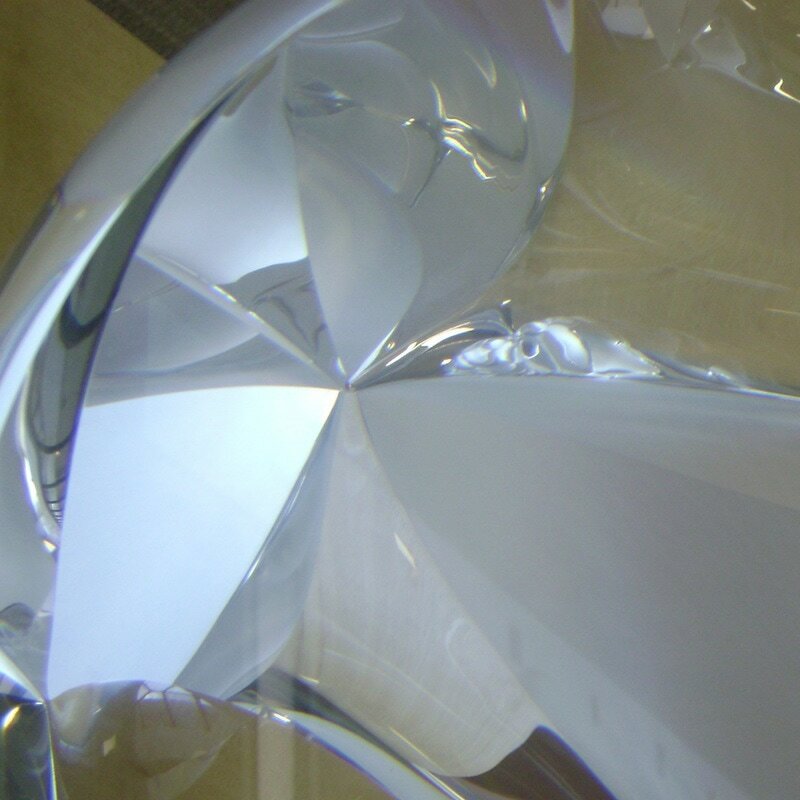 Ken has finished the new release from Safe Creations, and Dave and Ken have made it a free download, so look for it on Zeromoon. Jeff Surak has agreed to host this new release, "A Minor Eruption", on his Zeromoon label. Available online and Bandcamp in 2016. Visit the Anvil Creations Studio Facebook page to see more pictures of the ever-changing ACS studio, comments and news about current events, and personal posts from Anvil Creations' director, Ken. The latest album is always ready to preview when you hit the b/c tab on this page, and there is a direct link to the Bandcamp.com site right there from ACS's Facebook site. The b/c page is mobile friendly as well. As the Anvil Creations Studio page on Facebook is so hard to navigate (especially on Wi-Fi), I have decided to keep the ACS catalog updated on this site instead. Here is the list starting from the very beginning, with the tapes that are generally not available (except on special request). 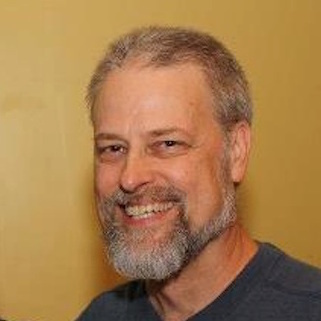 Ken Moore was born in Baltimore in 1954 to Lithuanian parents, and attended Catholic schools up until 8th grade. During that time, he studied piano at the school's convent, learning some classical and popular music as well as having access to the church pipe organ. By the time he was in mid-teens, he was ready to sell his baby grand and buy a portable organ with the intention of starting a rock band with his best friend. Members were added to the group until Ken was alone with older musicians from a Catholic high school, and once a 21 year old vocalist was back from Turkey where he was stationed in the US Army, they had someone to sign contracts and play various institutions where they got paid as semi-professional musicians under the name Captain Felix. After three years, Ken was ready to form another group that would be more suited to play his own brand of art rock, and from two public high schools, a second Captain Felix was born, hitting the Baltimore club scene playing various instrumental versions of commercial music. The three-piece group featured Ken's original keyboard music, and also a shortened version of "The Barbarian" from Emerson, Lake and Palmer's first LP. This attracted an agent during a "battle of the bands" audition, and a recording engineer from NYC came down to record a demo for a disc jockey at WKTK, Baltimore's biggest rock station. The effort did not succeed, primarily due to inexperience, but they did get to hear their ELP song on the radio once before parting ways. 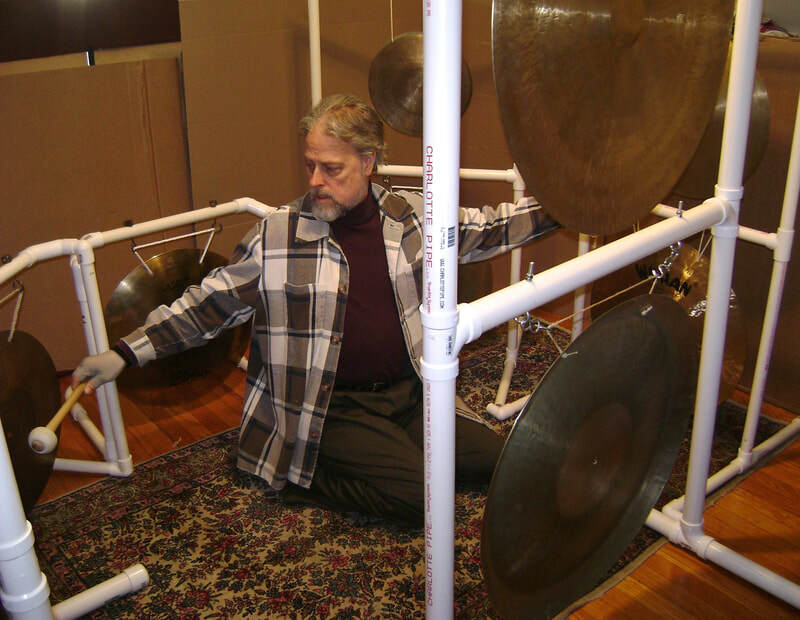 While still in college, Ken was able to participate in the first Electronic Music class offered at UMBC, and had his first exposure to alternative composers such as Steve Reich and Phillip Glass. 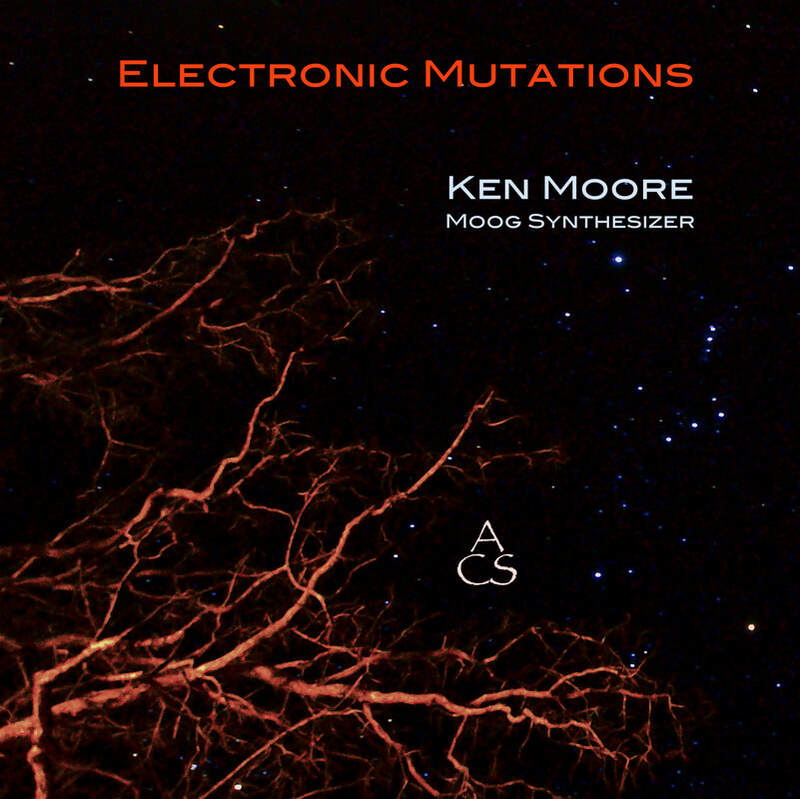 After listening to Morton Subotnick's "Touch" LP, Ken was convinced that progressive rock music was not the only place for Moog synthesizers. His first synthesizer was a minimoog, one of the first original analog synths made in NY, then known as Moog MuSonics. He also acquired an ARP Odyssey, and then an ARP string ensemble which he used extensively in many of his early recordings, along with a Hammond organ. Piano was still a constant, and many of his first compositions were written on that instrument, but he was particularly fond of the organ and based his record collection on how much organ was in the band. Favorite organists were Jon Lord [Deep Purple], Rick Wakeman [Yes], Graham Fields [Rare Bird], Dave Greenslade [Greenslade], Doug Ingle [Iron Butterfly], Goldy McJohn [Steppenwolf], and of course Keith Emerson [Emerson, Lake and Palmer]. After some time recording both his art rock, and some unusual experimental sounds that very few people recognized as music, Ken did begin to sell his music via a mail order system, and the name Anvil Creations Studio was born. 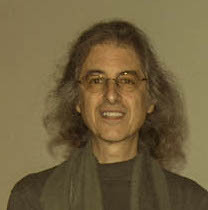 Eurock featured two of his first EM tapes, "Tempus Fugit" and "To Come Into Being", but interest in his organ-based music was nonexistent. People like John Diliberto and Tom Bingham were willing to review his music, and Ken was able to make many overseas contacts with others who were playing and recording their own brand of electronic music. Joining the International Electronic Music Association [IEMA], was a boost for his tape distribution, especially after being put in charge of the Group Tape Project, and his work was recognized in Canada [CLEM] and Great Britain [Audion/Auricle Music], with contacts in Germany and Switzerland. 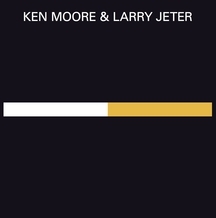 In the mid-eighties, Ken was invited to join another original rock band, Kameleon, where he met Wayne Myers, who with, after three years in Kameleon/Runner, decided to leave that group and record their own original music as a duo, Moore/Myers. "Reaching Beyond the Sphere" was picked up by Auricle Music, and also their second album, "Nine Days Wonder", was released on compact disc [after the turn of the century]. Before completing the third album [20/20], Ken and Wayne parted ways and Ken went on to release more of his own music on CD-Rs. Elastic Collision (with Frank Ashley) produced two albums of experimental sounds, "Listening at the Speed of Sleep" (2000) and "Visitors Welcome" (2001). 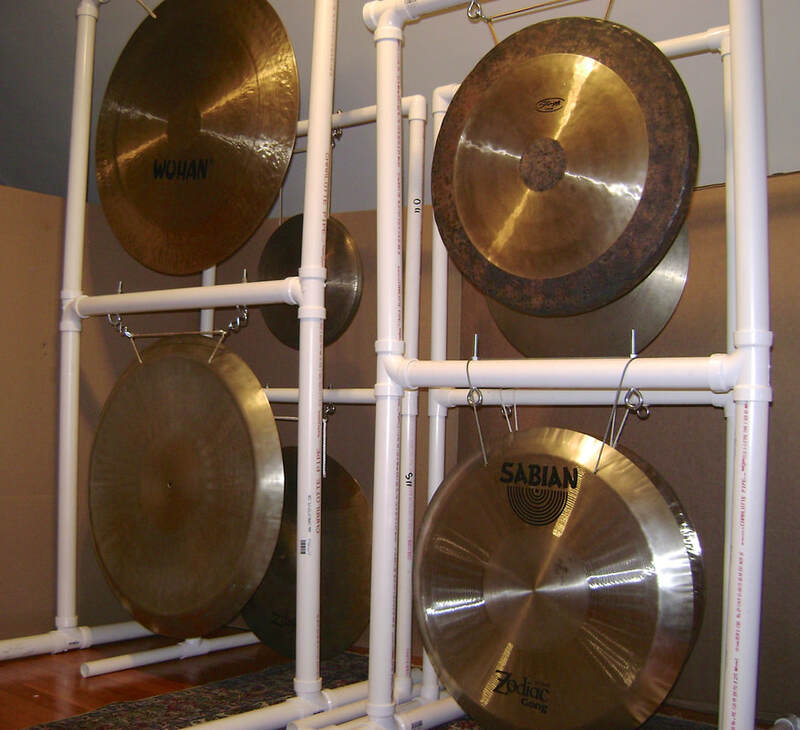 Then, after learning of the "Nine Days Wonder" release, Ken was prompted to begin the long process of posting his backlog of music on Bandcamp.com, and added some of his newer works, which eventually evolved into percussion compositions, namely a study of gongs; specifically, tam tams. 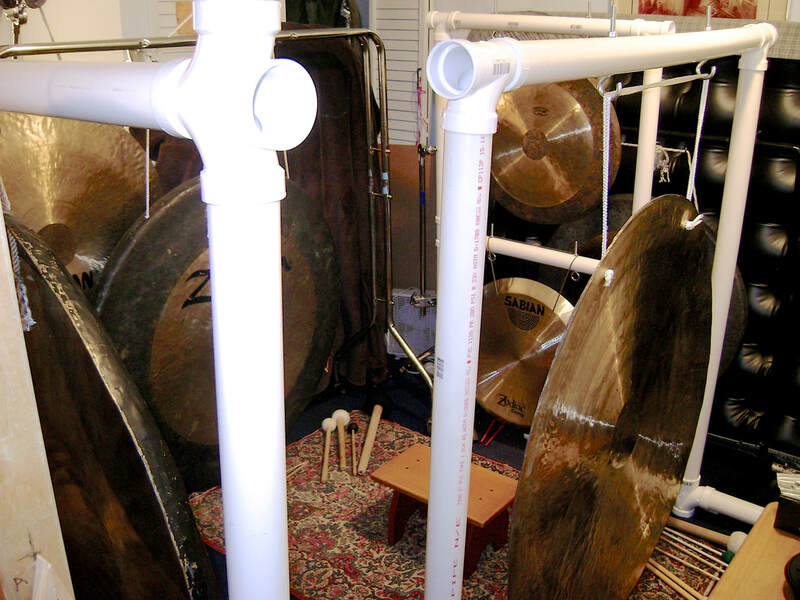 During Ken's attendance at Grace Bible Baptist Church in Catonsville, Maryland, he had the honor of playing the orchestra bells in the worship band for Sunday services. This gave him an opportunity to play the glockenspiel in a live situation, and also helped him brush up on his sheet music reading skills. 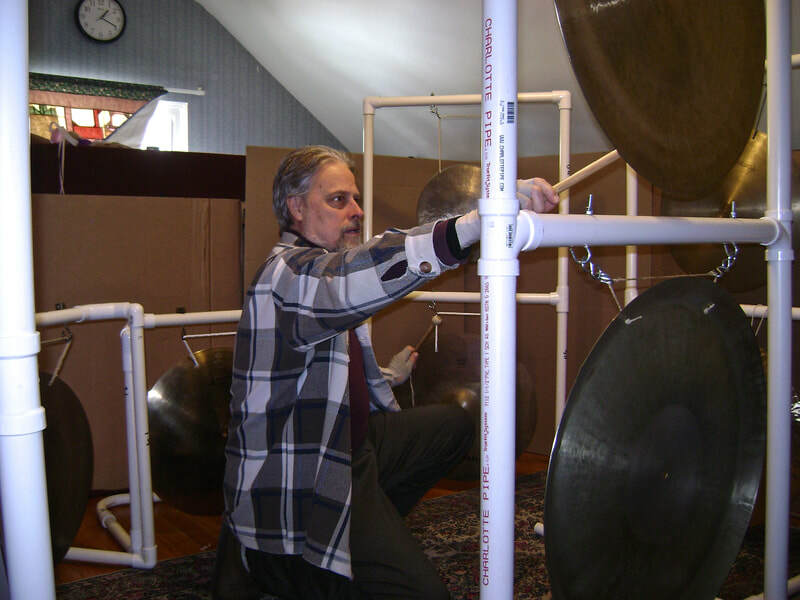 Also, during his stay at Grace Bible Baptist, he and his wife Carol were able to play with a handbell choir that was conducted by Chuck Ruegg, and his wife Debbie Ruegg. Reading music was not the challenge here, as they had to learn not only to play parts in a score, but to be coordinated enough to only play the notes for the four bells (two for each hand) in front of them. 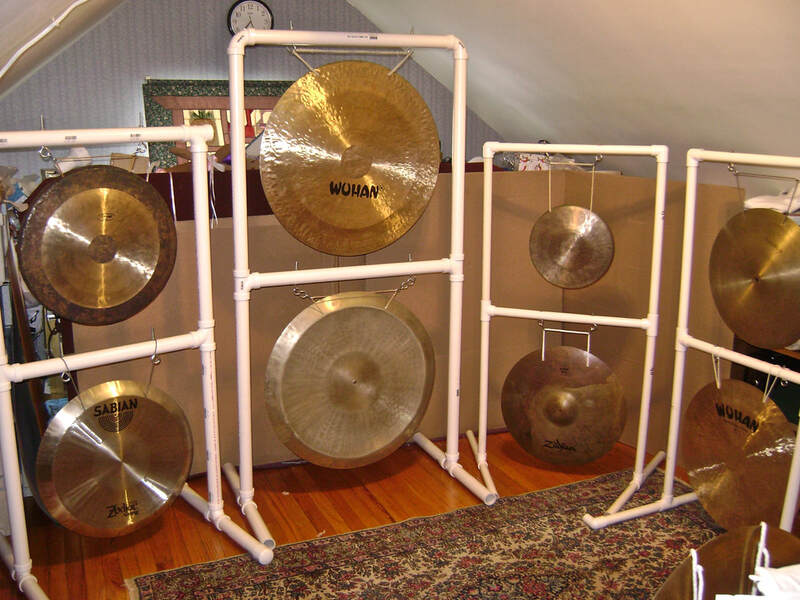 Later, Carol and Ken would acquire a set of bell chimes to use in Ohio, but there wasn't enough people interested in meeting on a regular basis to form a choir. Before moving to Ohio, Ken [and his wife] were a part of a Christian rock band, A Voice in the Wilderness. Carol did some singing, and played some hand percussion, and Ken had a chance to hone his skills as a trap set performer. 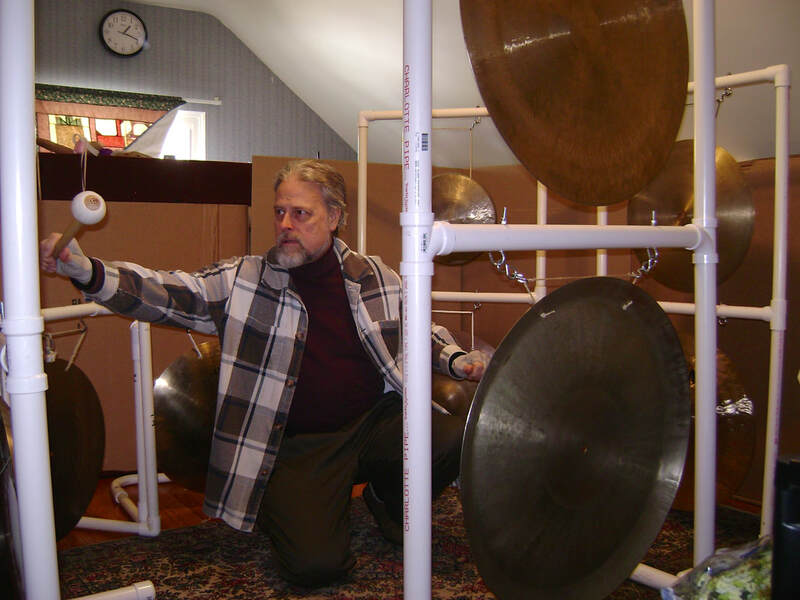 At their last gig in Catonsville Baptist Church, they played some Christmas music for the AWANA club, and Ken had another chance to play the Musser orchestra bells before selling them after relocating. 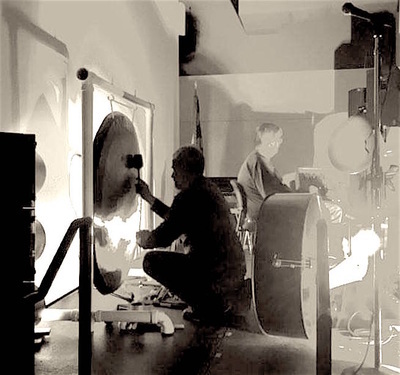 Having celebrated 10 years performing with Richard Cooper, who together perform as Doerr & Drumm, doing non-original music in a more popular context, and in contrast, also performing annually, for 5 years with EM colleague, Dave Vosh, in a melding of modular synthesizer and heavy metal [tam tams] as Safe Creations, Ken has taken leave of the former "coffeehouse duo". Some of his newer releases include titles such as "PastTime", "XpairAmendT", "Morning Creations" and "Approaching Velocity". 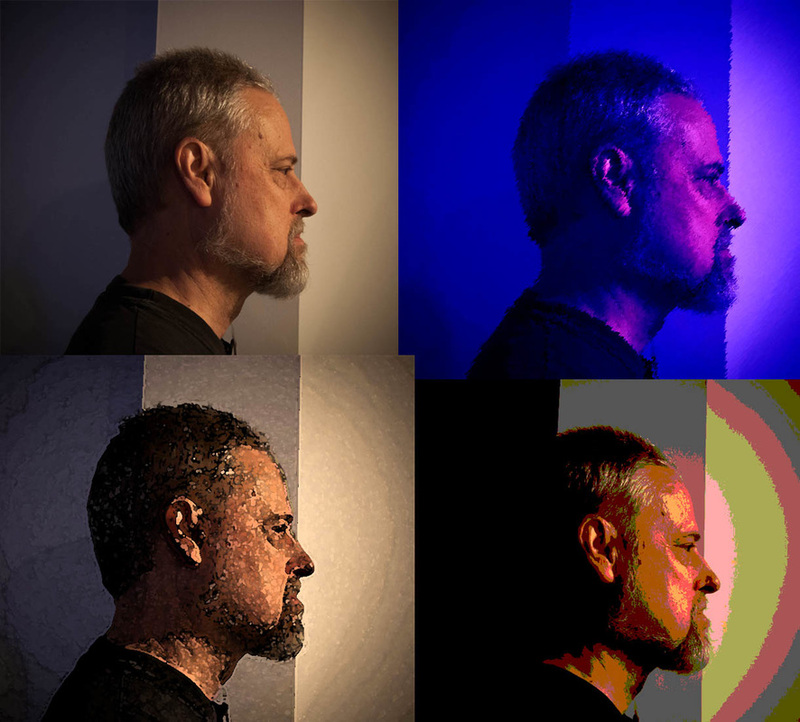 The Electronic Music Series which began with "Tempus Fugit", continues with "To Come Into Being" (EMS #2), "Loubi Stem" (EMS #3), "To No Avail" (#4) and "The Jupiter Effect" (#5). 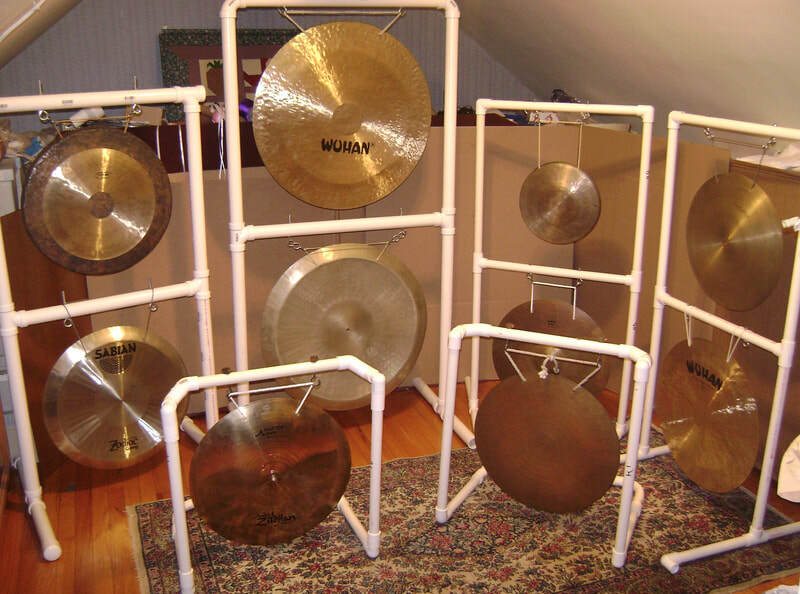 A new collection of keyboard music is available from the AC director entitled, "Dancing With...."
See the Contacts section of this web site for information about any of these projects.